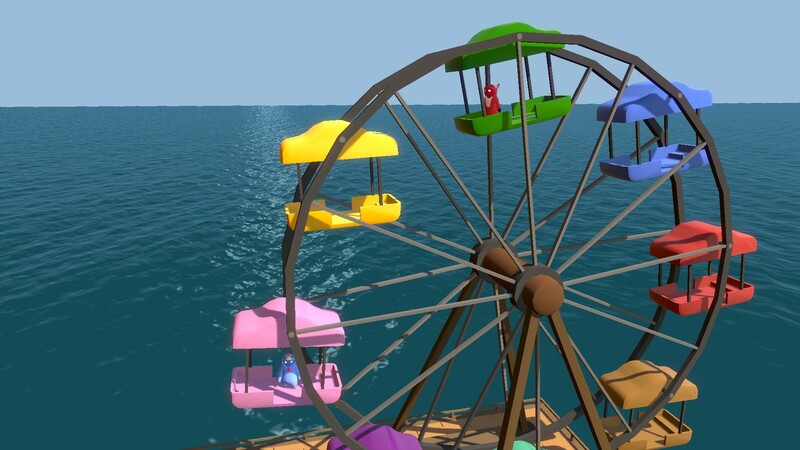 I can only hope that you’ve played Gang Beasts. Truly, it’s a magical experience that turns boys into men. Nothing quite prepares you for the challenges and difficulties of the world ahead as watching a green guy in a sombrero spin a blue dinosaur over his head and throw him into a pit of flames while a third dude dressed as Pikachu face plants ecstatically across the way. 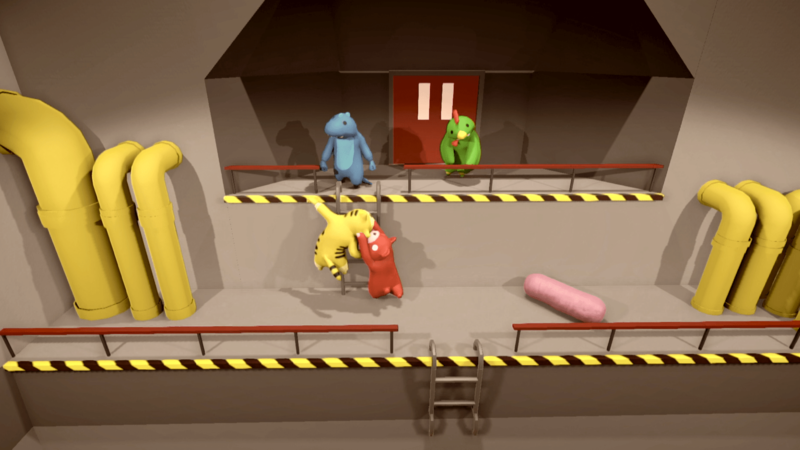 Gang Beasts has recently made the jump from frantic couch-multiplayer to the all important online bash-em-up genre, and it’s making the transition very well. When I first got my hands on the preview build for playing online, there were limited maps and character customisation but that makes sense, especially when you’re just trying to stress test your servers. The menu interface wasn’t the friendliest but again, it’s a preview build and can be cleaned up along the way. I played maybe ten games in a row (won eight of them, by the way, so I’m kind of a big deal) before running in to any server issues. It was never anything serious, occasional pieces of minor lag but I’ve been gaming online for a while, so little bits of lag here and there aren’t a big deal. I had one or two very rare instances of failing to connect to a game. But there’s something missing. Gang Beasts is an incredible social experience, much more than just a multiplayer game, and competing against the faceless masses of The Internet just doesn’t bring the same feeling of euphoria as booting your best mate off the top of the carousel. When playing by yourself, you’re playing to win and that’s it; there’s no desire to one-up your friends, no fist-pumping moments when you manage to overcome the odds and claw your way to victory. It’s another game where winning is more important than anything else and, while it’s still immensely fun, it loses a lot of its shine for me in that regard. I’d be willing to give Gang Beasts Online a thumbs up, purely because Gang Beasts itself is such an enjoyable experience. 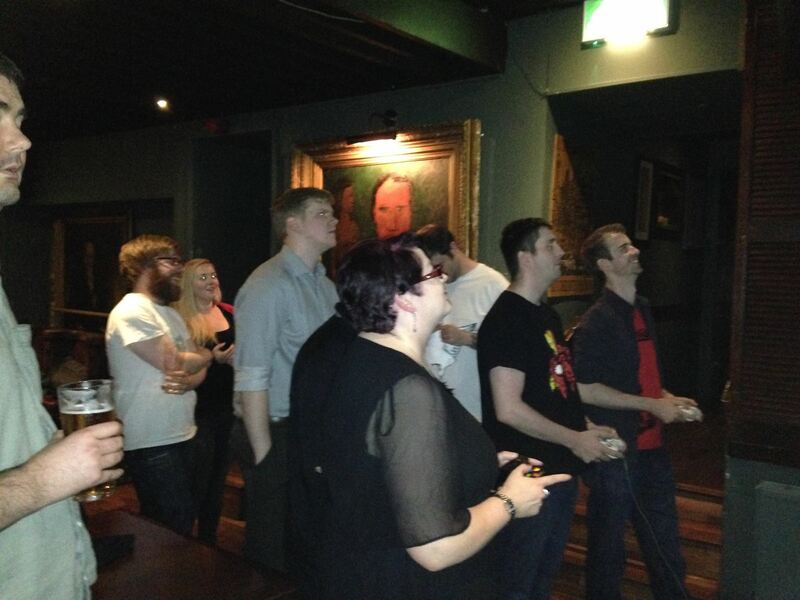 But it’s a hundred times better when you’re in the same room as your opponents.